How do solar-powered energy systems work? Sunlight is converted into Direct Energy (DC) electricity via solar panels affixed to the roof. The systems built-in inverter changes the DC electricity into the electric current that traditionally comes into your utility lines. If the solar system generates more electricity than your home or business requires, a credit may be allowed on your utility account for the surplus energy generated by your system and then going back into the grid. How do I know if a solar-powered electric system would work for my home or business? Electricity obtained from solar-powered systems function for most homes and businesses. The system we provide is compatible with a number of roof types and areas where direct sunlight is available. A sunny location with a 385 sq. ft. minimum is required for a 5kW system. The feasibility of the system can be compromised by large shady trees, buildings, etc., though still creating 90% of the expected electricity. Ideally solar panels are mounted on a South facing roof, however, they can also be placed on West or East facing roof and nonetheless produce 90% of the electricity of a South facing roof. Full sunlight is needed for all individual solar cells for the system to work optimally. 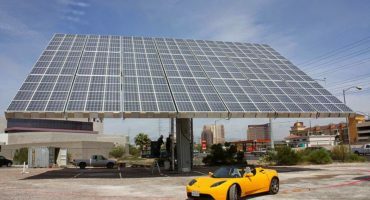 The electricity output of the entire system is lowered for the entire system if there is shade, even if there are sections of the system still receiving full sun exposure. Net metering refers to any excess electricity generated by your solar system being reverted back to the grid. This means you receive credits in kW on your utility account. For example, on cloudy days or at night, the credit your system produced during the day is used first. We aim to reduce your electricity bill by providing you with a system that would generate more kW during the day than you use, allowing you to use the credit during cloudy days or at night. Our aim is to provide you with a system that encompasses all of your electricity needs. The value in a solar panel-powered system, however, is not solely defined by 100% electricity output. Even a small system that supplants part of your energy usage will lower your electricity bill due to “net metering” storing unused electricity. “Net metering” kicks in at night or on cloudy days, allowing you to use the kW credit your system produced during the day. Direct sunlight is required in order for your solar system to generate optimal electricity. Even on cloudy days, power will be generated, however less than optimal. On-grid, grid-connected or grid-tied signifies being linked to the utility grid. Off-grid suggests a system that is not connected to the electricity grid. Our solar systems are created as on-grid, connecting to the electricity grid allowing for excess energy to be fed back into the grid. The number of solar panels needed depends on your average energy use along with physical aspects of installation such as; climate, the direction of sunlight, shade, and several other issues. To determine the number you need, contact us for a free site assessment. 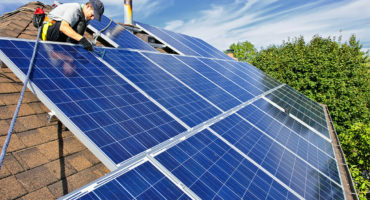 Federal, State and Municipal incentive programs are available for homeowners and businesses encouraging the installation of green energy equipment like solar-powered systems. Because the system is stationary our solar-powered energy systems are strong and resilient. Many of the parts involved last for a number of years without issues. Additionally, we offer a 25-year manufacturers warranty on all our solar systems. An inverter will be installed outside your home which informs you how much electricity is being generated by your system, along with other information. Our system is maintenance free because there are no moving parts involved. An occasional visual check is suggested to ensure the system is working optimally. How can Grid City Energy help me? Our aim is to save you time and money. We are here to help from the beginning, assessing your business for an optimal system, to incentive paperwork, and throughout the installation process to the very end. We relieve you of the stress and headaches by providing you with an affordable, maintenance-free solar-powered energy system.